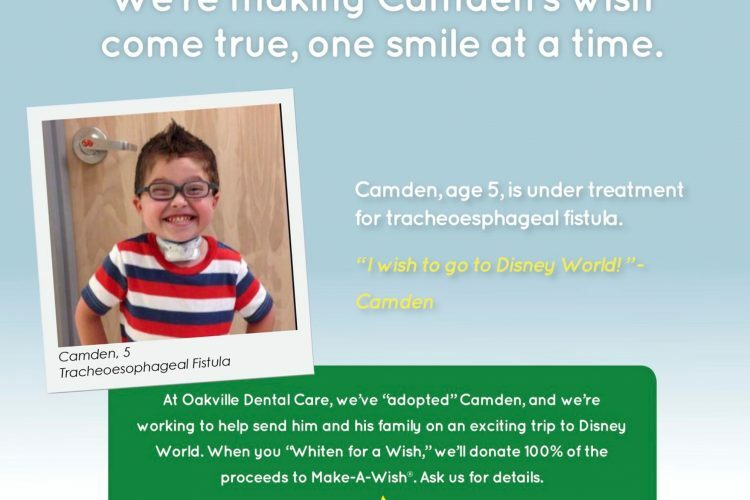 Oakville Dental Care is proud to partner with Make-A-Wish Missouri for our office’s Whiten-For-A-Wish promotion! Any patients that wish to whiten their teeth will receive custom whitening trays made in the office from new impressions of their teeth, along with bleaching materials to place inside those trays. 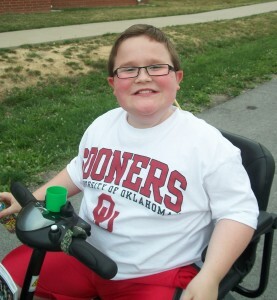 All profits we receive from this procedure are donated to Make-A-Wish Missouri to help grant a one-true wish to our current kiddo! 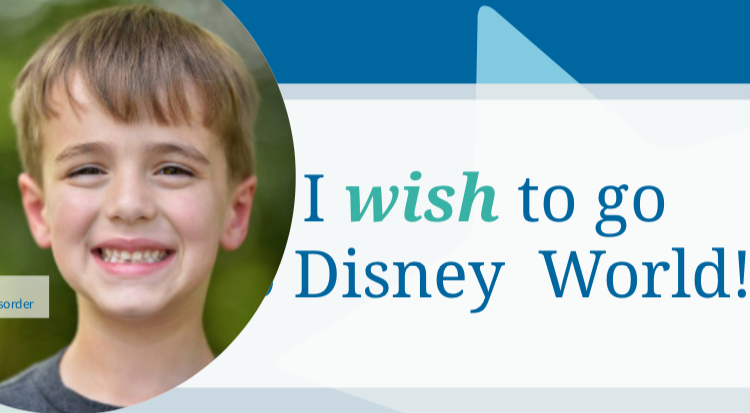 The fee for Whiten-For-A-Wish is $149. Thank you in advance for brightening your smile and the smile of a child with a critical illness!